Is purchasing a biometric safe to protect your pistols worth it? It can be a difficult decision to make because while some of us with pistols really like the idea of having a singular box dedicated to our pistols, it may not be worth the price in the end. Not only that but if you already have some kind a quick access safe that allows you to get your pistols very easily, then biometric pistol safes may not be worth it. We do have reviews all about the biometric safes to protect your pistols. But if you’re still unsure whether or not you need it, then you should probably keep reading. With the biometric technology industry still coming to fruition, there is not a whole lot of safe manufacturers out there producing pistol safe units. This means that lack of competition can result in low-quality production and low-quality products. Before you start shopping around for pistol safes, you definitely need to make sure you get the size of your pistol and how much space you need in order for your pistol sit comfortably. Buying a safe, waiting for it to come and then having it not even be able to fit pistol inside is going to be nothing but frustration. You can find more about different gun safes with biometric capabilities here. It is a very simple process to get the dimensions of your pistol and just how much space you are going to need. Simply measure the longest part, normally the barrel and then measure top to bottom. Then after you have these two numbers, multiply them together, and that is how many square inches your pistol will be taking up. Now that you have this number, you are completely ready to start shopping around. For the longest time, BARSKA has been leading the show and the biometric gun safe industry. Not only that but the prices are not extremely high and within reach for almost everybody out there. 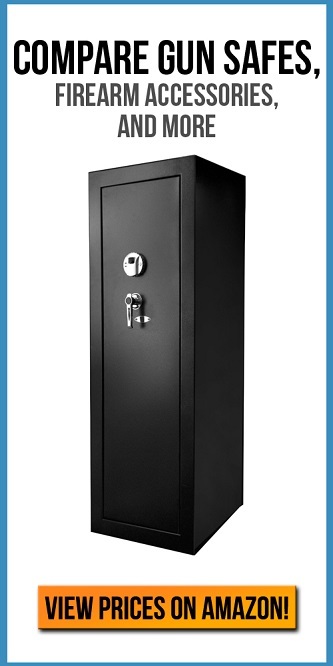 They have many different safes ranging from quick access, pistol, rifles, and shotguns. You will spend more time just looking at all the different makes and models that this company has to offer rather than choosing a gun safe for your actual gun. Barska also has great warranties. This is extremely important because sometimes, especially with new technologies like biometrics, there can be major problems. And if you received a malfunctioning unit, you are going to want your money back. Buying a product with no warranty is basically shooting yourself in the foot. Is lock & key the way to go? What a lot of people don’t understand is that there is a difference between conventional locking safes and quick access safes. Quick access safe is self-explanatory and that it allows you to quickly access your guns and not waste any time fiddling around with box. But when it comes to biometrics, they are generally quick access anyway. This means that you are going to want to focus on buying from a quality brand and not worrying about whether or not as quick access. Having your pistol at a moment’s notice is where biometric technology comes the shine. You are without a doubt never going to have to worry about not being able to access pistol in the title need and whether or not the lock open. So with that being said we highly recommend that you purchase the pistol safe.